Haircut&Style studio offers professional extensions lengthening using the kelp. We offer 10 lengths, 4 widths and 5 types of algae curl – from natural appearance, fine lashes curvature to very prominent, long and dense lashes. 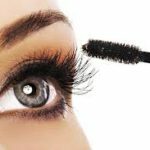 Before the applications, there is a free consultation to recommend a suitable type of lashes and answer all your questions. Eyebrows are very important for the overall facial expression. You can adjust its shape, color, intensity, density or eyebrow length. It is always important to take into consideration the natural hair color, skin color and eye color. 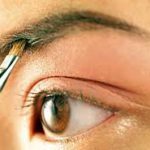 The resulting effect should not be a substitute for a prominent make-up, but the eyebrows are tuned, perfected, or if the hair is completely lacking, the fine hairstyle method creates new eyebrows.